Six thousand feet above sea level. Snow deposited two days ago sticks to trees like plaster, and waves over the trail in wildly sculpted shapes. Snowmobile tracks across the way scribble the slope with daring loops reminding me of the avalanche that didn’t happen this time. Beautiful photo. I knew the 3 young men that were killed recently at Steven’s Pass in an avalanche. There is so much power in this beauty. best sometimes to look from afar. 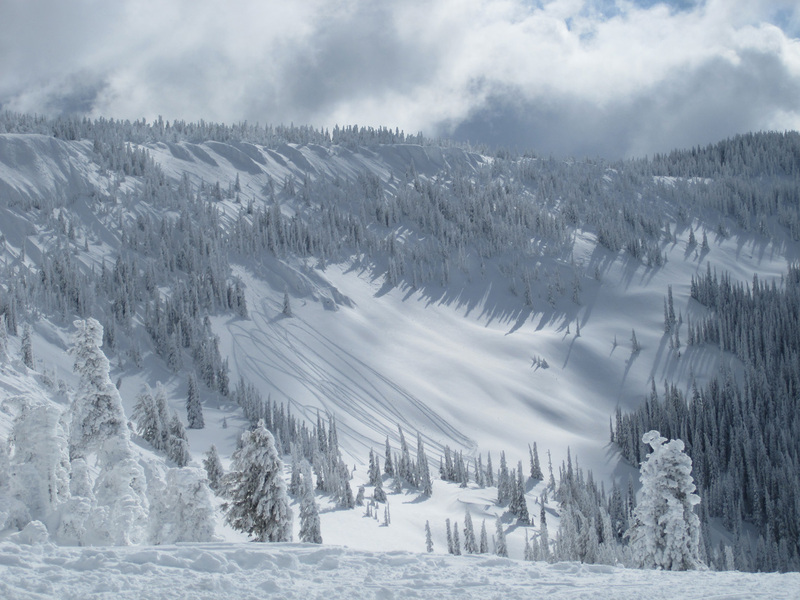 My entire crew was saddened and upset when we heard of the avalanche at Tunnel Creek. Such events hit close to home, and are never far from my mind when we venture out. Sometimes is is best to look from afar.